In the story “Androcles and the Lion” Androcles is a run-away slave. He runs into the forest only to find a whimpering Lion asking for help. 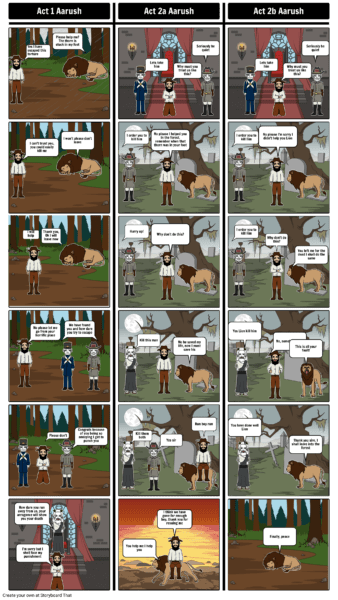 Androcles has the choice to help or to leave. Androcles helps the Lion and lets him free. However, Androcles gets found and taken back to the slave home by knights. He is sentenced to death. Androcles is in an arena waiting for his opponent, Lion came out. Lion saw that his enemy was the person that saved him. The knights scream kill him while Androcles begs to live. Lion runs at Androcles picks him up and runs. The Lion and Androcles go far and eventually are free. 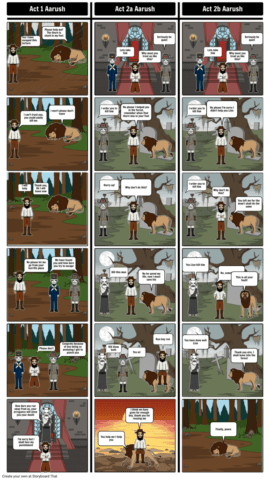 Androcles and the Lion Remixed by Aarush is licensed under a Creative Commons Attribution-ShareAlike 4.0 International License.